Luigi Del Conte Sauces offers four savory, unique sauces. Sambuca Simmering Sauce, “Sweet with Heat” Caribbeano Simmering Sauce, “Coconut Citrus Candy Sauce” Country-Style Marinara, “A Taste of Tuscany” & Spicy Ala Vodka ” A Taste of Napoli.” All four sauces are natural, vegetarian, gluten-free and Kosher. They contain no refined sugars, no trans fats and are low in sodium. 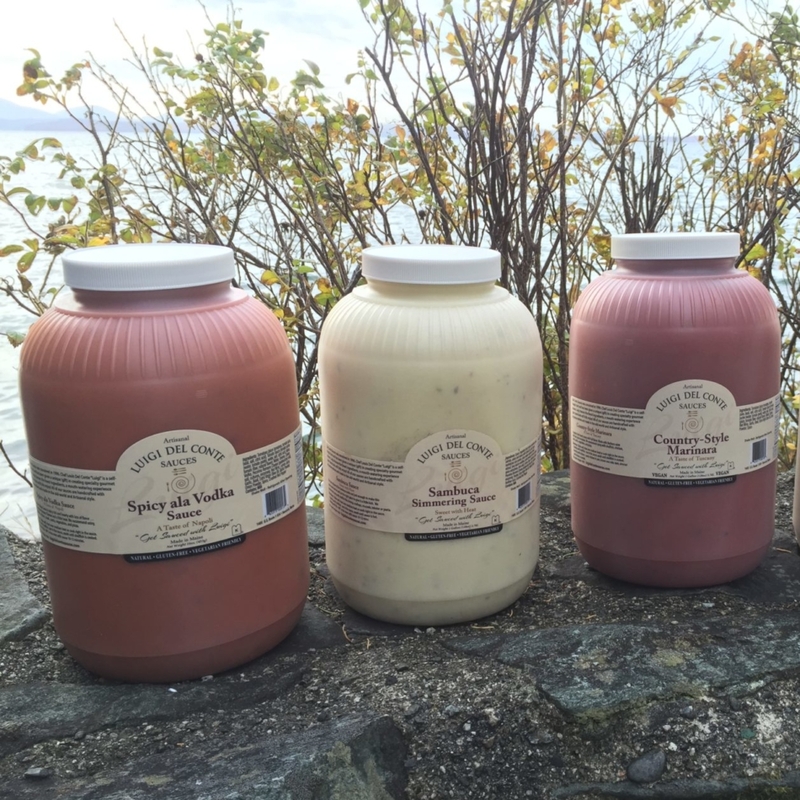 Our sauces are made at Pemberton Foods out of Gray, ME and eighty percent sourced from Native Maine. 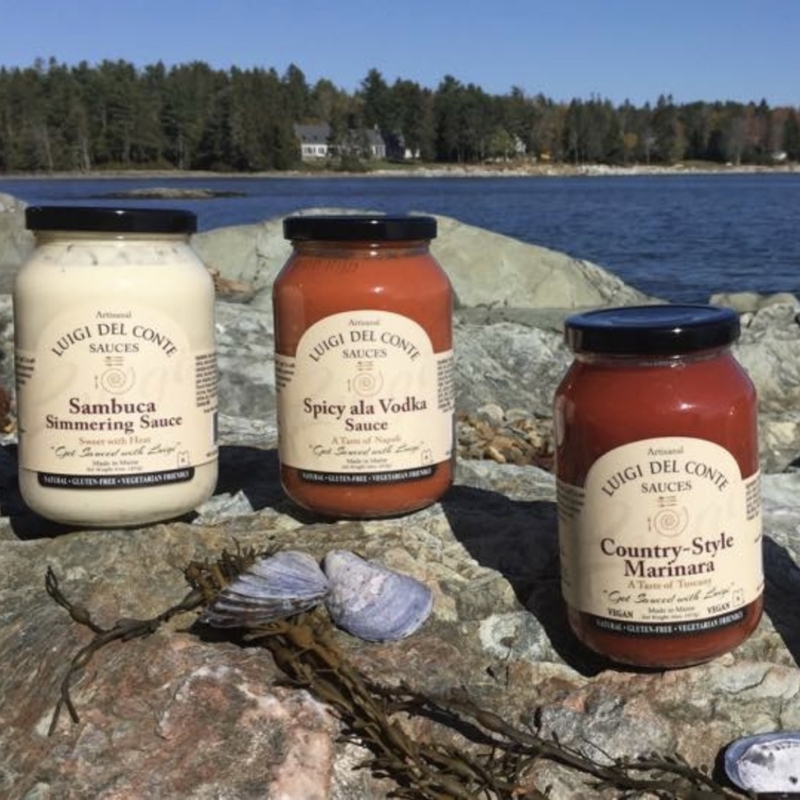 Luigi Del Conte Sauces are waking up tastebuds from Washington County, ME to the East and West Coasts of Florida and many stops in between. All our sauces are handcrafted, old world and artisanal style.